Facebook took its first steps to combat fake news Thursday, unveiling several new features designed to identify false news stories on users’ feeds. Once users do so, they can also indicate why they are flagging a particular post and what the user would like to see happen to the content on Facebook. From there, the social media site is partnering with third-party fact-checkers such as Snopes, PolitiFact and Poynter’s international fact-checking network. “We’ll use the reports from our community, along with other signals, to send stories to these organizations. 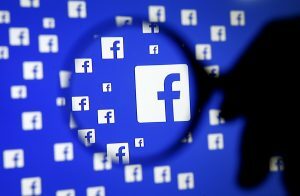 If the fact-checking organizations identify a story as fake, it will get flagged as disputed and there will be a link to the corresponding article explaining why,” Adam Mosseri, vice president of Facebook’s News Feed operation, wrote in a blog post. Disputed stories could also appear lower in news feeds. Facebook has not created its own definition for fake news, and questions remain about what happens to stories that are more nuanced. “The company was unable to say exactly how it would handle stories that its fact-checking partners identify as containing a mixture of truth and falsehood,” Slate technology writer Will Oremus told the NewsHour. Facebook’s new ranking algorithm, which will reduce the visibility of fake news stories, is similar to a Slate platform that introduced a new tool to flag fake news on Monday. This is Fake, announced and developed in part by Oremus, took a similar approach to Facebook’s new fake news approach. Slate’s Chrome browser extension allows Facebook users to flag news they believe to be fake and keep a log on their news feed of repeat offenders.